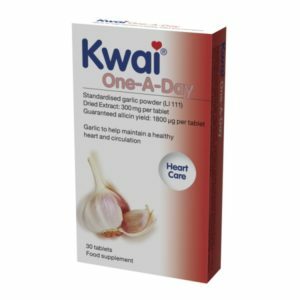 Kwai Heart Care Tablets help to keep blood pressure and cholesterol levels normal. Highly concentrated odour free, protectively coated. Kwai Heart and Arteries Tablets help to maintain a healthy heart and blood vessels.